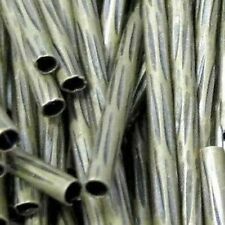 Toho seed bead 2.5" Tubes. Price is for four tubes. These tubes are poly plastic vials which are capped and re-usable. Toho seed bead 2.5" Tubes. Silver Lined Topaz. Price is for four tubes. These tubes are poly plastic vials which are capped and re-usable. Add a colourful and creative flare to your off loom projects and embroidered designs using these size 11/0 Toho Treasures with a transparent rainbow smoky topaz hue. These cylindrical glass beads will look stunning threaded into our Toho One-G beading thread. 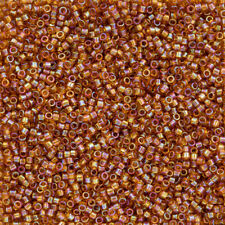 These wonderful tube shaped seed beads are a quality assured equivalent to the Miyuki Delica bead. Made by renowned seed bead manufacturer Toho, they feature a popular attribute of Toho seed beads; a large threading hole size. Create high quality woven seed bead designs and dazzling stitched projects using these size 11/0 Toho Treasure seed beads with a transparent topaz hue. These twinkling gold seed beads are a great addition to your beading and jewellery collections. Use these brilliant transparent rainbow frosted smoky topaz Japanese glass beads to create wonderful autumnal inspired off loom and bead weaving designs. The wide 1.2mm threading hole of these Toho Treasure seed beads is perfect for multiple passes of thread in your projects. Add a touch of golden sparkle to your woven seed bead projects and soutached designs using these transparent lustered light topaz Japanese cylinder seed beads. Made by Japanese beads house Toho, these Treasures are similar to the Miyuki Delica with the exception of a larger threading hole size. These wonderful cylinder shaped seed beads by Japanese bead house Toho are 1.8mm in size with a generous 1.2mm threading hole, perfect for performing multiple passes of thread and great for beginners. These stunning gold lustered dark topaz Treasure seed beads by Japanese bead house Toho feature a cylindrical shape, 1.8mm size and generous 1.2mm threading hole. These beads are a quality alternative to the Miyuki Delica and a great bead for beginners to bead weaving. Size 11/0 Treasures are a great alternative to the Miyuki size 11/0 Delica bead. Toho code TT-01-925. Colour: inside colour light topaz/coral pink lined. This excludes Sat/Sun. Seed beads sold in a 7.8g tube. Design wonderful autumn inspired off loom jewellery and accessories by pairing these hybrid luster opaque rose/gold lined Toho Treasure beads with our leaf shaped beads and charms. Toho code TT-01-Y184. 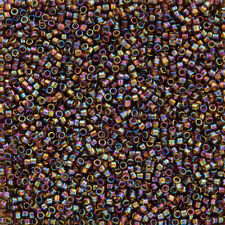 These stunning Aurora Borealis (AB) coated, berry lined light topaz Miyuki Hex Cut seed beads have a hypnotic multi-coloured hue. Our 3mm (size 8/0) Japanese glass beads have wide 1.5mm threading hole ideal for multiple passes of thread in beading designs. 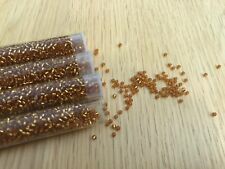 Use our stunning gold lined topaz Japanese glass seed beads to design amazing Steampunk inspired off loom jewellery and accessories. The wide threading holes of these 1.8mm Toho Treasure beads are perfect for multiple passes of thread in your projects. Toho 1.8mm Treasures 11/0 Transparent Light Topaz 7.8g. These wonderful size 11/0 Toho Treasure seed beads have a sparkling light topaz/yellow hue. Create wonderful autumnal projects and more using these high quality Japanese cylinder seed beads. Check out our design ideas for help and inspiration on how to use these stunning silver lined topaz Treasure seed beads manufactured by Japanese beading giant Toho. 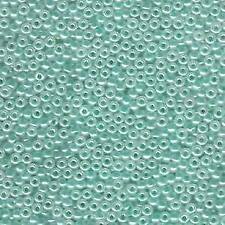 Our brilliant size 11 beads have wide threading holes perfect for thicker stringing materials. Create dazzling woven seed bead designs and fabulous embroidered patterns using these precision cut Toho Treasure seed beads. Our twinkling transparent blue topaz treasures are perfect for designing winter inspired projects threaded with our quality Toho One-G beading thread available in a range of blue, grey and white hues. Create beautiful Steampunk inspired off loom jewellery and accessories with these silver lined frosted dark topaz glass seed beads by Japanese beading giant Toho. 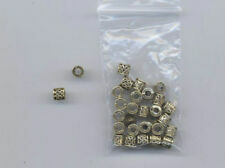 These 1.8mm Treasure beads have wide threading hole perfect for multiple passes of thread. Add a touch of sparkle to your woven and stitched seed bead designs using these high quality Japanese Toho cylinder Treasure beads. Toho code TT-01-22B. Jewellery Findings. We have a huge collection of glass beads, semi-precious gemstones, silver and gold beads, pendants and charms, alphabet letter beads, Swarovski beads, horn and bone beads, pearl beads, a variety of stringing materials, quality findings and much more. These Japanese cylinder seeds will pair beautifully with our range of Toho round seed beads. Toho code TT-01-926. Jewellery Findings. We have a huge collection of glass beads, semi-precious gemstones, silver and gold beads, pendants and charms, alphabet letter beads, Swarovski beads, horn and bone beads, pearl beads, a variety of stringing materials, quality findings and much more. These lovely size 11/0 Toho Treasure seed beads are a great addition to your beading and craft collections. These wonderful luminous light topaz/neon pink lined Japanese cylinder seed beads have a vivid red hue, perfect for pairing for black beads and findings to create bold, contrasting designs. These glorious size 11/0 Toho Treasure beads feature a frosted light topaz hue and soft semi-transparency. Their larger 1.2mm threading hole size makes them perfect for creating lightweight and stylish woven and stitched seed bead designs and a great alternative to the Miyuki Delica bead. Create sophisticated bead weaving and jewellery designs with these simple yet bright topaz O Beads®. For ideas and inspiration on how to use these Czech glass beads check out our guide to jewellery making. Toho code TT-01-241. Colour: Inside Colour rainbow light topaz/mauve lined. We have a huge collection of glass beads, semi-precious gemstones, silver and gold beads, pendants and charms, alphabet letter beads, Swarovski beads, horn and bone beads, pearl beads, a variety of stringing materials, quality findings and much more. These brilliant 1.6mm Japanese Delica beads by beading giant Miyuki are ideal for larger designs. Miyuki code DB911. 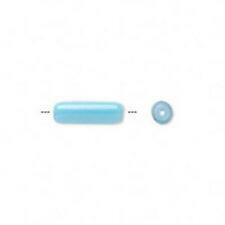 Colour: sparkling lined topaz. 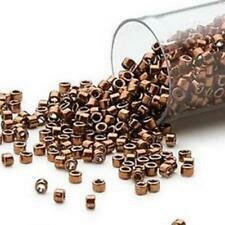 Size 11/0 (1.6mm) seed beads. We have a huge collection of glass beads, semi-precious gemstones, silver and gold beads, pendants and charms, alphabet letter beads, Swarovski beads, horn and bone beads, pearl beads, a variety of stringing materials, quality findings and much more. 2020 Brown. Gnicht wash 1 vial of 9, not clean. Gutmann Rainbow beads 6 mm tube with 40 color 1970 honey. Gutmann Rainbow beads 6 mm tube with 40 PCs FB. 1970 honigVielseitig applicable, elegantly dazzling PerlenBei fashion, jewellery, accessories and decoration can be used perfectly. Color 2046 Brown. 1 tube with 85 units. Hand wash, gently clean with Perchlorethylene.